After coming back from our trip to France, I was so excited to get to try a European inspired snack. 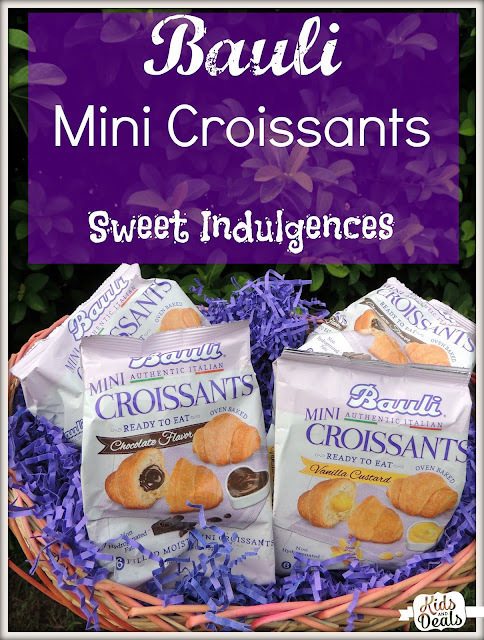 The Bauli Mini Croissants are oven baked treats perfect for a quick snack. The Bauli company has made authentic Italian pastries for decades. What's great is that they pride themselves in not using chemical additives, nor artificial colors in their pastries. 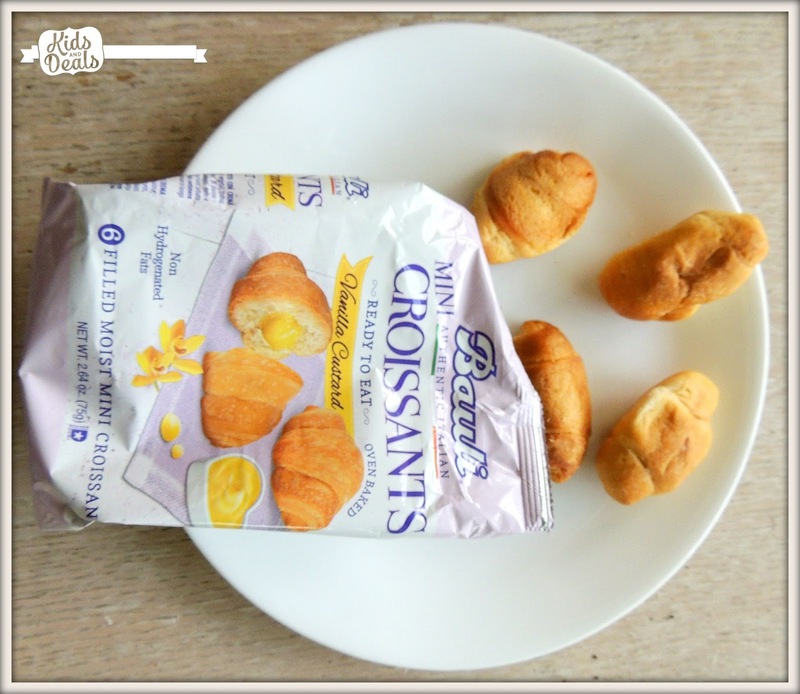 The Mini Croissants come in two different flavor; Chocolate and Vanilla. And I love that they are portion controlled at only 50 calories a pop! These were perfect to satisfy my sweet tooth. 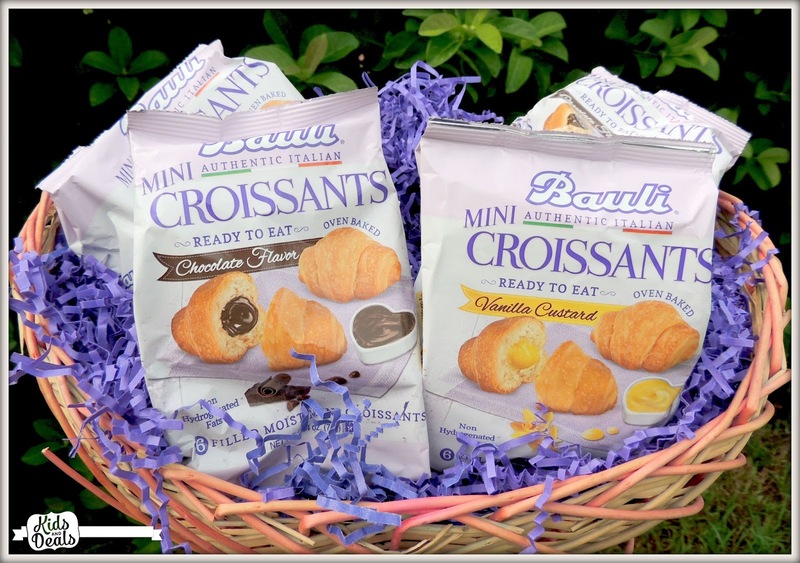 The Bauli Mini Croissants are perfect to take on-the-go! My favorite was the chocolate, but that's because I'm a chocolate freak. The vanilla custard tasted great as well. It's a great snack for everyone. My kids loved them! The Mini Croissants are moist and flavorful, and it's nice to snack on something different once in a while. GIVEAWAY: One Kids and Deals readers will Win Bauli Mini Croissants. 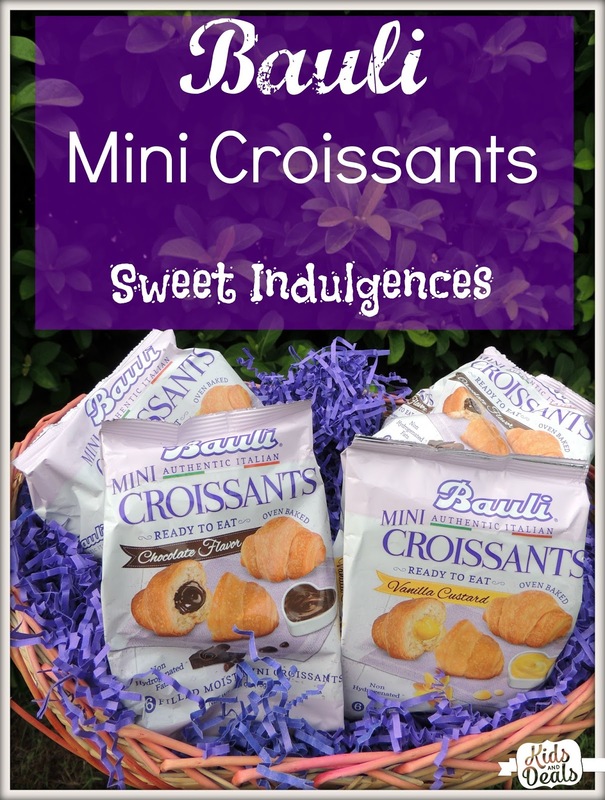 Disclosure: I received Bauli Mini Croissants for free for this review, however, all opinions are 100% my own. I'm looking forward to trying Chocolate. I would like to try the Vanilla Custard flavor. I'd like to try chocolate. They all sound great! I would love to try the vanilla custard most I think. I would like to try the chocolate first. Vanilla is more my style for these, I think! Definitely the chocolate for me. I'm a chocolate freak! This looks so yummy! They both sound very good, but I would love to try the Chocolate first. I would love to try the chocolate- yum! I would choose the chocolate first, thanks! I would definitely love to try chocolate! I would most like to try the chocolate flavor. I am most interested in the chocolate variety. I am looking forward to try the Vanilla Custard flavor. I really want to try the Chocolate. I would like to try the vanilla custard! Oh the flavors sound good. I would have to say I can't wait to try the chocolate. They sound good..especially the chocolate! Both flavors sound divine, but I'm most excited to try the chocolate! Definitely the chocolate for me too! Thanks for the opportunity!